A recently arrested Italian gang of bird smugglers are believed to have been involved in bringing protected species to Malta. 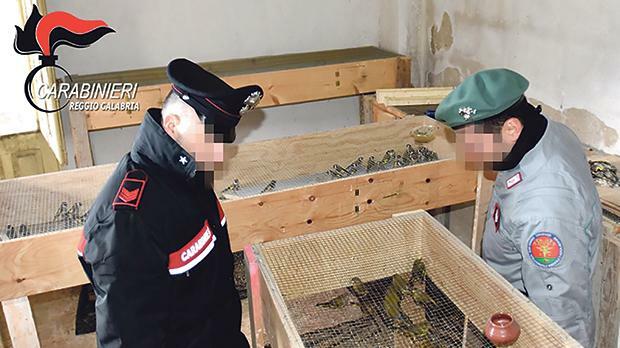 Maltese police sources told the Times of Malta that the country was a known destination for smuggled bird species, and a recently uncovered racket in Italy was believed to have ties to the island. Europol announced on Tuesday that Carabinieri-led investigations had seen two suspects involved in poaching and trafficking of endangered species of birds identified and prosecuted in Italy. The Italian police said the two were involved in collecting nests and protected birds in the central region of Lazio to later sell them on the illegal market. Meanwhile, a Maltese police source said that while the group were believed to have mostly supplied birds to continental European countries like Germany, they were also linked to other gangs in southern Italy through a wide-ranging black market network that had supplied birds to Malta. Europol said the operation had resulted in over 50 protected species of birds being rescued, some of which so young that were still featherless, including hawfinches, jackdaws, goldfinches and serins. Among them were 15 European roller birds, migratory birds with blue feathers, which are protected under national and international legislation and so cannot be hunted. Once collected, the birds were sold on the clandestine market at prices from €500 for a roller, €200 to €300 for a kestrel, €150 for a hawfinch and €30 to €80 for a goldfinch. Over the last few years the demand for rare birds on the clandestine market has increased significantly, Europol said. The adult birds rescued were immediately released. The baby birds were taken to be rehabilitated, and will soon be released into the wild. Europol said collecting hatchlings and eggs from the nests of protected birds was a new trend in wildlife crime, which was causing a degradation of natural habitats and bringing protected species to the brink of extinction. Back in May this newspaper reported how a bird-smuggling racket between Malta and some parts of Italy had been dismantled by the Italian police. Thousands of rare and protected birds were being sold to poachers and restaurants across Italy as part of a smuggling network that also had ties to the island.